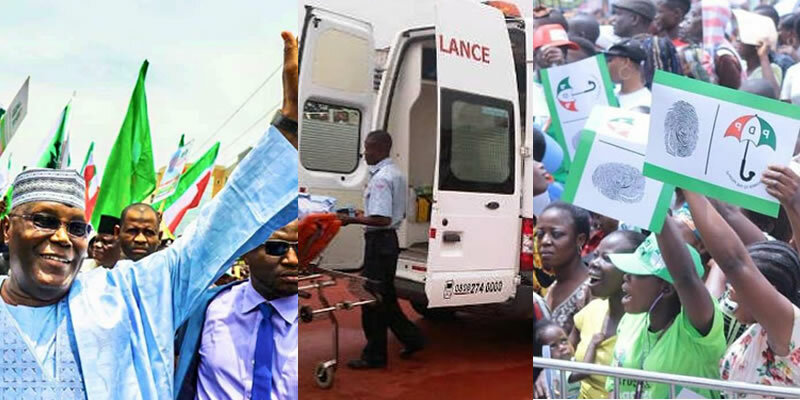 No fewer than three people have been feared dead and over 30 others fainted waiting for the campaign team of the Peoples Democratic People (PDP) presidential candidate AtikuAbubakar at Sani Abacha Stadium, Kano on Sunday. According to The Nation, reports have it that the alleged death of the three people was as a result of a bloody clash between rival groups of the PDP outside the stadium. There was an unprecedented crowd gathered at the venue waiting for the arrival of Atiku and his team for several hours. Those who fainted suffered suffocation inside the stadium, which was filled to the brim.